5226 EP NIUE (1979) Women gathering shellfish*. 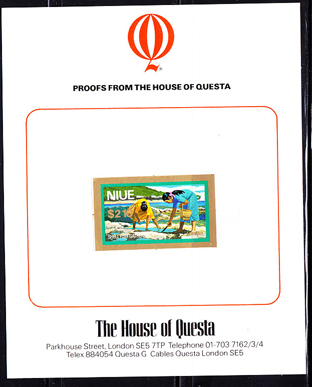 Imperforate mounted in House of Questa proof card. Scott No C7, Yvert NoPA7.